With Indian swimming slowly making its presence felt on the world map why should I not make my contribution, even if it is for only being the youngest? Wonder if this was the thought that motivated Swapnali Yadav, the 8 year old from Mumbai, to participate and successfully complete the 19th International Swim across the Gulf Of Mesiniakos from Koroni-Kalamata, a distance of 30km, in 11 hours 10 minutes. The next youngest competitor was 22yrs old. Click here for the full results. 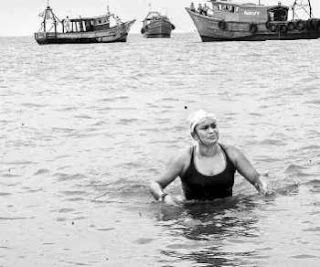 Swimming a distance of 30km, at any age, is no mean feat and Swapnali has to be applauded for it. The very thought of how she must have trained for it is scary especially at such a tender age. I guess that is the reason why some international observers are calling for a minimum-age to be set for such swims to safe-guard kids from being pushed to such lengths too early. There are very few doctors who deal with athletes and even fewer who deal with extreme athletes, so it will be difficult to get a balanced view on how such extreme events would affect the child in the long run. Should she be encouraged or stopped till she is old enough? Tough call to make and I’m sure the debate on this shall continue. Her next target is to become the youngest to swim across the legendary English Channel. For this she would need a lot of good warm wishes as she would have to deal with more than just the rough icy-cold waters as her age is again going to be the point of contention. The record books indicate that the youngest swimmer to cross the channel is Thomas Gregory at the age of 11yrs and 330days. Mihir Sen, a long distance swimming legend, was the first Indian to swim across the channel in 1958. Click here for more information. With such a large head start, I wonder how soon would it be before she surpasses Bula Chowdhury’s* records. Only time and tide will tell. Check the links below to get the FINA rules related to Open Water Swimming. 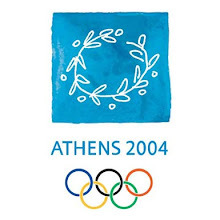 Click here for the FINA Rules and Regulations for Open Water Swimming Grand Prix 2007. 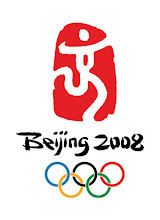 Click here for the Rules and Regulations for FINA 10km Marathon Swimming World Cup 2007. * Click here to read a news article on Bula Chowdhury. Open water, marathon swimmers can find continuously updated Google news about our sport at www.swimfarswimfast.com. Take a look.